Since its introduction in 1986 the FIM Fair Play trophy has been awarded on nine occasions. The award was created in order to encourage an awareness of the concept of fair play and to reward any significant act of the same in motorcycle sport. The award is open to individuals, riders, teams, national federations, clubs, spectators, organisers or firms who have shown a great sense of fair play. The recipient of the award is determined by the FIM Award and Recognition Committee who this year deemed Spain’s Trial and Enduro Queen - Laia Sanz to be a worthy winner of the same following her unselfish actions during the 2016 Dakar Rally. Sanz, who holds an incredible thirteen FIM Women’s Trial World Championships and is a five times winner of the FIM Women’s Enduro World Cup has more recently established herself to be a real contender at the Dakar Rally. Laia’s ninth place overall in the motorcycle class in the World’s most famous rally in 2015 was the best ever result to be achieved by a female rider in the long history of the gruelling competition. During the event in 2016 Sanz came across France’s Pela Renet who was making his debut in the Dakar. The highly capable Husqvarna rider had crashed heavily a few kilometres short of the finish on day four when the riders had covered over four hundred kilometres. Despite her own fatigue and desire to produce her best performance, Laia did not have to think twice as she immediately halted her own passage to attend to the injured rider ahead of the medical crew arriving on the scene. "Helping someone is what any rider should do, that's normal and it was important. Though I lost time it was the right thing to do." Sanz was later given back the time she had lost whilst helping her fellow competitor and went on to finish fifteenth in the motorcycle class of the 2016 Dakar Rally having also had to overcome problems of her own. Laia’s extraordinary act of kindness and fair play was shared around the World by the various media / news outlets and widely across all forms of social media. This reached an audience way beyond the motorcycle community and in doing so sent a powerful and inspirational message to the masses and especially to the younger generation that true sporting values still exist in motorcycling. The award recognises associations, individuals or organisations that have made an outstanding contribution to motorcycling safety on the road. The 2016 winner is the Federazione Motociclistica Italiana (FMI) for its programme of road safety training. The FMI is the Italian motorcycling federation affiliated to the FIM. It is famous for being one of the most successful organisations in the history of motorcycle sports. Less well known outside Italy is the FMI’s rider training programme. Italy is a country where the use of powered two wheelers (mopeds, scooters and motorcycles) is a major feature of everyday travel. For example in the greater Rome area over 700,000 such vehicles are in use. With ancient cities such as Rome, there is as much “city” under the ground as above it. This makes it difficult to extend public transport in the form of underground train networks. Additionally, the favourable climate makes using a two-wheeled vehicle an attractive option. FMI training covers a wide range of activities. For example, it has been invited into schools, in partnership with the Ministry of Education. During the year the FMI also organises special “road shows” in partnership with the police, fire service and ambulances service. Students from several schools congregate at these events. The emergency services demonstrate the reality of road traffic collisions in a dramatic way. The FMI has also taken on the task of training the government officials who administer the riding test. Another aspect of this activity is vocational training, for example training of postal workers who ride small powered two wheelers with heavy loads of letters and parcels. In order to deliver this broad range of services, the FMI has built up good relationships with several Italian ministries covering Education, Infrastructure and Public Works. The large-scale use of powered two wheelers in Italy makes this work an important contribution to road safety on a day-to-day basis. 2016 sees the second edition of the FIM Women in Motorcycling Award. By creating this award the FIM looked to recognise and celebrate those who have significantly contributed to improving and developing the presence of women in all motorcycling-related areas and encouraged a greater awareness of women in motorcycling. This award is for a project, activity or initiative implemented by individuals, groups or organisations (e.g. CONUs, FMNs, clubs, organisers, promoters, circuit owners, manufacturers, teams etc.) and that can provide mid or long-term solutions to help develop the presence of women in all motorcycling-related activities and that can have lasting effects and impacts on the awareness of women in motorcycling. After a thorough examination of the various candidatures received from the different continents, the International Jury decided the winner of the 2016 award - AMA Get Women Riding Campaign. The AMA Get Women Riding Campaign was created with two main objectives. The first being to inspire non-riding women to ride and the second to build the confidence of existing women riders to ride more. In addition, the spirit of the campaign gave rise to additional AMA activities, such as AMA Vintage Motorcycle Days where prominent women riders were present on both adventure riding and competition. Since its relaunch, tens of thousands of individuals have visited the new website, with many more having viewed the campaign’s videos on the AMA’s Youtube channel, not to mention the thousands who have been engaged via social media. replicated to further outreach to new women motorcyclists. The AMA, or its promoting and organisational partners, has the capability to continue with a series of introductory programs that borrow developed curriculum, teaching the basics of motorcycling and motorcycle safety to new riders. The FIM Women’s Commission was able to gather a highly experienced jury for this award which composed of a Member of the FIM Awards and Recognition Board Committee, the CFM Director, the FIM Women’s Legend of the current year (2015) – Ms Martine de Cortanze (France) and two independent experts appointed by the FIM. The FIM Environmental Award, presented since 1997, recognises the efforts made by organisations, federations, individuals or teams who have made a significant contribution to the organisation of sustainable events that minimise the environmental impact and leave a social legacy in their community or region. This year, the International Jury was composed of MsJill Savery, Sustainability Consultant and Adviser, Mr Justin Zeulner, Executive Director at Green Sport Alliance, Mr Nysan Sahba, Director of the Communication and Public Information Division of UNEP, Mrs Kattia Juarez Hernández, Director of the FIM International Environment Commission, and Mr Josep Punti, Member of the FIM Awards and Recognition Committee. We are pleased to announce that the 2016 winner is the Circuit de Barcelona Catalunya. The Circuit is fully committed to sustainable events and daily management. It has held the ISO 14001 certification since 2008. In addition, the Circuit won the FIA´s Achievement of Excellence award conferred by the FIA Institute’s Sustainability Programme in 2015 and the FIM Environmental Award in 2012 for its Green Meeting Point Programme. This year, the jury chose the winner for the different actions focused on achieving a sustainable event during the Gran Premi Monster Energy de Catalunya de MotoGP. All the actions aligned with the Sustainable Development Goals were innovative, focused on fan engagement, development of the sphere of influence, and local schools. The initiatives included waste management, sustainable mobility, surplus food collection and donation, local food, promotion of local artists sending Ride Green messages, sustainable mobility, environmental education for kids and fans, World Environmental Day celebrations with local musicians, support of “Semana Natura” (Nature week), an event promoted by local government, and the inauguration of the first Ride Green Corner, amongst others. 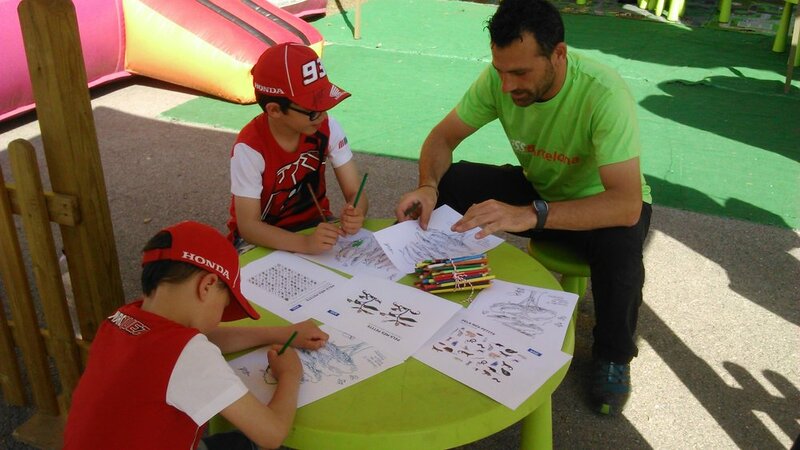 Since 2014 the Circuit has adopted the KiSS Barcelona version of the KISS Programme promoted by FIM aimed to organise sustainable events that comply with the FIM Environmental Code but also incorporate other innovative actions in favour of the environment and social aspects associated with the race. 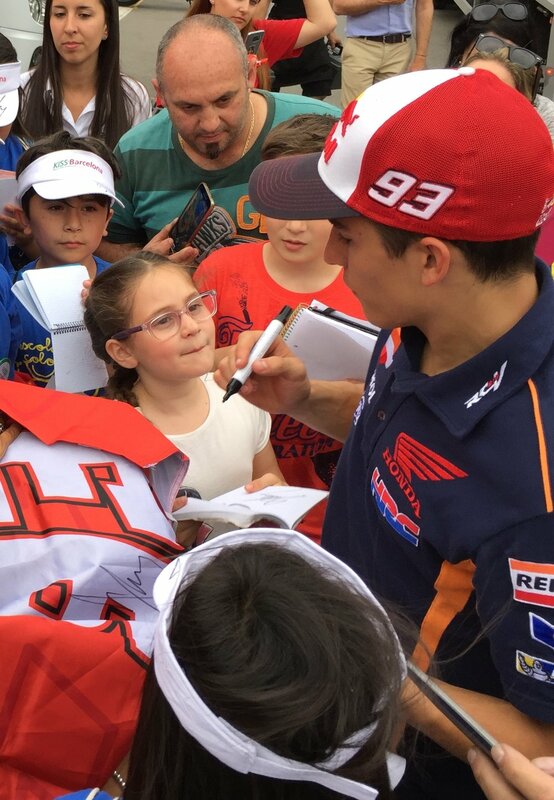 Ambassador Marc Marquez fully supported the 2016 programme. Kattia Juárez Hernandez: This year has been an extraordinary year because we have received high-level candidatures from three different continents and from different motorcycling disciplines. Additionally, this year we have an international jury made up of top level experts. Choosing a winner has been difficult because every year the level improves in different spheres: there is more innovation, more people are reached, more awareness is raised. Some projects are very good in one area and others in another so it is very difficult for us to take a decision. This year the scoring was very close and I must congratulate the 3 highest placed entrants: Varkaus racing team, Mugello Circuit and the winner, Circuit de Barcelona Catalunya. To the rest of participants, we would like to stress that we are very proud of you and we encourage you to continue along the path of excellence.